Prof. Itse Sagay, the Chairman of the Presidential Advisory Committee Against Corruption (PACAC), is the first Presidency source to fire the first salvo in reaction to the explosive letter former President Olusegun Obasanjo sent to President Muhammadu Buhari asking him not to seek a second term in office. In an interview with The Nation, Sagay said it is very hypocritical of Obasanjo who wanted to force his way into a third term while he was in office, is asking President Buhari not to seek re-election. 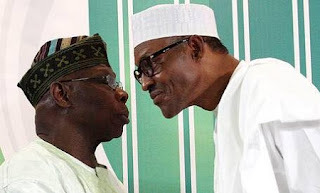 In his letter that was released to the public yesterday, Obasanjo said President Buhari should honorably resign from office and go home and rest. Obasanjo scored the Buhari-led government low in performance in many sectors, stressing that nepotism, gross dereliction of duty, poverty and insecurity have become the order of the day in this government. Reacting, Sagay said Obasanjo's letter is insulting.